Russia's large auto market has huge growth potential as middle class income rises in the former communist country, Canadian Scotiabank says in its global auto report. 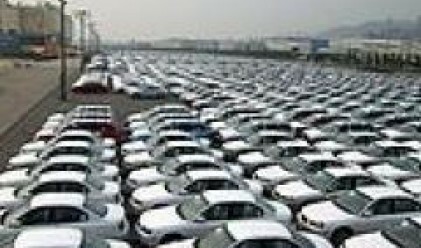 Sales of imported cars surged by nearly 70% in 2006. Ford has become the best-selling brand in Russia, largely due to the popularity of the Ford Focus, the best-selling model in Russia, with 2006 sales of nearly 80,000 units. „In contrast, volumes at Russian automakers, such as AvtoVAZ, the country's largest carmaker, fell by 5% last year,” Scotiabank said in a release. „Domestic vehicles are considered inferior to foreign models.” To change this perception, AvtoVAZ recently reached an agreement with Magna International Inc., Canada's largest auto parts supplier, to develop an $8,000-10,000 compact car for the Russian market. The joint venture calls for an investment of $2 billion. A final decision on this plan is expected later this year. Scotiabank says other foreign automakers, such as Volkswagen, General Motors, Toyota, Renault and Suzuki, are also rushing to set up new assembly plants in Russia. The Russian Industry Minister says foreign automakers plan to invest $1.8 billion in new assembly facilities, lifting Russia's vehicle assembly capacity to three million units by the end of the decade, up from the current 1.7 million. As for North America, vehicle sales slowed in the United States and Mexico last month, but revved up in Canada. In April, US purchases fell 8% below a year ago to an annualized 16.3 million units, down from the 16.5 million pace registered in the Q1. Scotiabank said the slowdown was widespread and reflects weaker consumer purchases, partly linked to declining house prices as well as the recent increase in mortgage delinquencies, especially in higher-risk mortgages. „The increase in gasoline prices to more than $3 per gallon (3.8 liter), the highest level since September 2005 in the aftermath of hurricane Katrina, was also a factor reducing US purchases in April, and will dampen activity in the key spring selling season,” Gomes said. In contrast, Canadian passenger vehicle sales posted a 9% year-over-year gain in April, climbing above an annualized 1.7 million units for the first time since December, when automakers were offering year-end clearances. Crossover utility vehicle sales surged 35%. Subcompact car sales also grew, with purchases of the Toyota Yaris buoyed by Ottawa's $1,000 rebate for fuel-efficient cars.